Improve Your Home Safety Right Now! 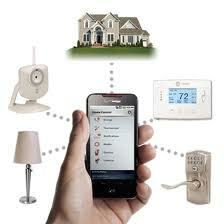 Home safety is the most important feature of any house you buy. This is a place where your family is supposed to feel comfortable and safe. If you don’t take the time to manage this now, it could be too late after something has gone wrong. Rather than wait until your house is broken into or you experience a robbery, take measures to prevent this first. Which steps are the most important to take? Visibility is everything. Let the neighbors know you’ve taken action and this can prevent quite a few situations. You can use signs, window labels, security cameras, and simply spreading the word when you talk to them face-to-face. Word travels quickly between local residents and this will deter quite a bit. The lighting systems you choose inside and outside of your house can also make a difference. Motion-activated lights will immediately draw attention to any area where it picks up movement and this will deter crime. Criminals don’t want to be in the spotlight and they will instead seek out a home that stays in the dark. This may be a small expense at first, but it will more than pay for itself over time. Fencing around your house is also important. You can choose to use either natural fencing or wood and metal designs. Natural fencing such as bushes or hedges require maintenance, but they also add beauty and security at the same time. Wood and metal fence styles require slightly less maintenance but they are great installation post for security cameras. If you create a secure environment around the edge of your property, then burglars and other criminals will look elsewhere for trouble. If you do decide to hire a monitoring company for your security cameras, there are a ton of great benefits! Not only can you feel safer when you’re home alone, but you can monitor your house while you’re on the go. The new mobile applications that work with these security systems give you access to cameras, lights, locks and much more throughout your home. Securing your home is important not just to prevent the loss of your belongings, but also to ease any anxiety you may have. When you’re on vacation, traveling for work or just taking a road trip, each of these features will work to make your house and property more secure. Don’t let unnecessary events rob you of your peace of mind. Protect your family and yourself by using home security from the beginning. « Inspect Your New Home…with a List!